Those of you who have had the good fortune of witnessing a Bengali wedding from the start to the end would surely agree that it is a visual delight. Bengali Hindu weddings like most other Indian weddings are a blend of traditional customs and rituals with a touch of modernity. These weddings are full of color and vivacity. Also a marriage leads to reunion of family members and old friends. New relations are made and old ones get further strengthened. In a way, a marriage signifies the beginning of a new journey not just for the couple but for the entire clan. 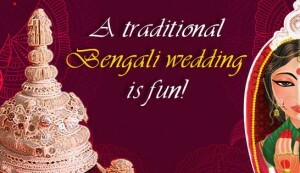 Bengali weddings usually are not opulent (although flashy or gaudy are probably more apt words!) but require elaborate preparations to perform the many rituals with precision. Sometimes it could also be physically demanding. 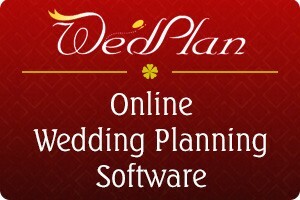 For hassle free planning and management of Bengali weddings, check out WedPlan. Do you have a marriage in your family? Yourself getting married? Congrats! But are you a little-worried thinking about the complexities of planning & managing the wedding arrangements? Lots of help is available on the Internet. There are several wedding portals online, like www.theknot.com, that list 1000s of resources related to all aspects of the wedding like gift shops, boutiques, jewelers, photographers and decorators. You can check their contact details, work samples and past references to help you shortlist a few from each category. Once you have a few names, you can talk to them individually and settle on the ones you want to work with. Most of us have some pet shops where we always buy from. However checking out the blogs on these portals helps us to identify the latest trends and themes that we can adapt based on our budget to give our event the special touch. Getting to know about a large number of vendors in different sectors, all from one place while sitting in your drawing room or bedroom can shave off days from the vendor selection and short-listing activity. 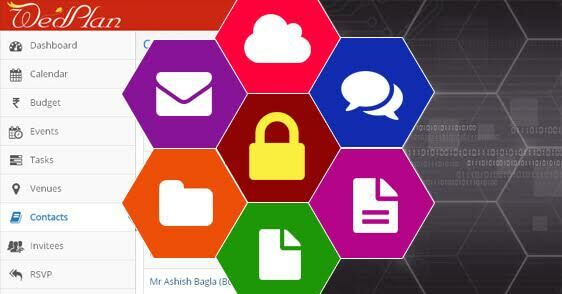 You can then discuss the specifics and thrash out a plan for everything within your budget. We used to buy our dresses from a certain shop but when we came across new boutiques from these portals and tried some of them out, we were pleasantly surprised to learn about new styles we had not considered before. Need elegant gift boxes for distributing sweets? You got it. Trendy invitation cards? Sure. Need help to plan the exotic honeymoon? You are covered. You can even locate a good wedding planner if you want to outsource some of the running around and want to pass on creative design to someone specialized. The planners take a certain percentage of the total wedding budget but stand by you at every stage guiding you on creative aspects and doing all the legwork. Then, there are portals like www.myshaadi.in, which allow you to create wedding sites for the couple to share stories of how they met and how the love blossomed. You can also upload event photos for the benefit of those who could not attend the events in person due to health issues or prior engagements. You may also check out WedPlan software that allows you to plan and manage the end to end logistics of the marriage including guest lists, invitations, email & SMS invites, arrival & departure schedules, budget tracking, sweets & gifts’ distribution and all other activities. The wedding portals and the planning software make an ideal combination and can spare lots of time for you to spend with family & friends.